Scheme Versatile – Olekanma is capable of playing as a Mike or Will linebacker in either 4-3 or 3-4 and is a solid option in nickel packages. Special Teams – Played on all forms of special teams, should at the very least be a capable special teams contributor. Pass Defense – Not the best cover linebacker but not poor in coverage either, needs to loosen his hips a little bit but he’s not a complete liability. 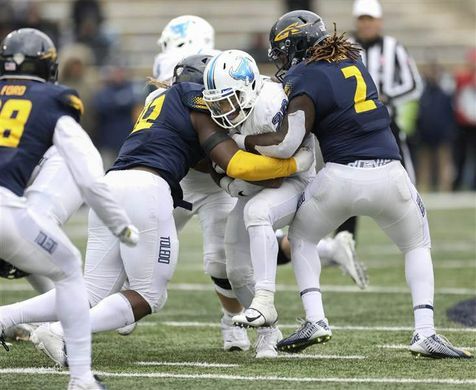 Run Defense – Really excels in run defense. Fills gaps and sets his contain when it’s asked of him. Character – Olekanma was a captain this past season and people close to the team have told me that he’s vocal on team issues, even to go so far that on different occasions to discuss what needs to change for the team to improve. Has a competitive spirit and hates to lose. Background – Born in Nigeria. Moved to the U.S. when he was 6 years old and was taught about football from his uncle and cousin. Played WR in high school and switched to LB in college. Earned his degree in biomedical engineering. Brandon: How would you describe your style of play? Richard: I’d describe myself as aggressive and disciplined. I’m going to do my assignment 100% of the time and make big plays while doing it. Brandon: If you had to list your top 2 strengths and “top” 2 weaknesses as a prospect, what would they be? Richard: My top 2 strengths would have to attention to detail and size. Weaknesses would be only having average flexibility and not a ton of game film out for people to see. Brandon: Which player(s) and which team were you most looking forward to playing this season? Was the matchup as exciting as you were hoping for it to be? Richard: Team would definitely have to be Miami. 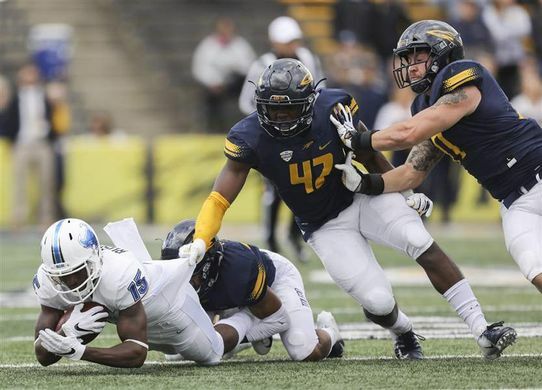 Anytime you have a top 25 team coming into the Glass Bowl (Toledo’s home stadium), you’ll be excited for that opportunity to show what you can do against the best. There’s no real specific player but as a defense we were excited to play against the playmakers of Buffalo and shutting down a great offense for 3 and a half quarters felt great. Brandon: Which game would you say was your best this past season, in terms of just your individual play? Richard: The Western Michigan game i feel like I was locked in and all over the field. Brandon: What’s your training schedule like while you prepare for your pro day? Richard: We start in the morning either in the facility at tcboost or on the field. We do a speed workout, followed by agility/starts/running mechanics (depending on the day) then a film session of what we did and we lift either upper or lower. After we’ll do a short break to eat, relax, and then do correctives and rehab or get massages. Brandon: If you can tell us, have any pro teams shown interest in you and which teams? Richard: Not directly to me but our player personnel guy told me that a bunch of teams liked my tape and are waiting for numbers. I can’t really tell which teams. Brandon: You’re scheme-versatile, but where do you think you’d really excel, what kind of system and in what role? Richard: In 4-3, 3-4, or nickel I’d excel and I think in the mike backer spot. I know run schemes and pass concepts from that spot to defend it all effectively and aggressively. Brandon: Which NFL player(s), current or former, would you say that you model your game after the most? 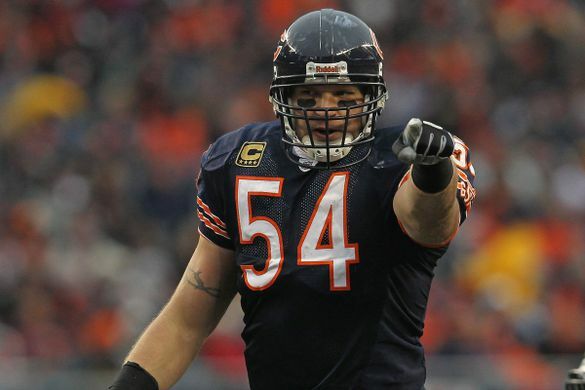 Richard: I’d say Brian Urlacher. I watched the Bears every Sunday growing up and I liked his work ethic leadership and how he carried himself and I try to model that. 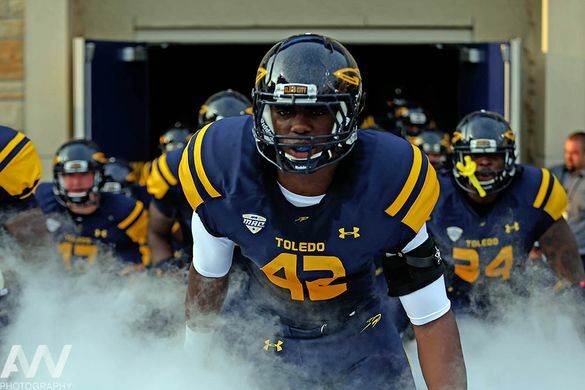 Brandon: Coming from a smaller school (Toledo), did that bother you coming out of high school that you weren’t really a highly sought after recruit? Richard: It did but I knew I was out of position in high school, like if I could go back in time I would’ve played more defense. So I understand why a bigger school would have a hard time making that commitment to me. Ultimately, I’m happy with how things worked out. I think coming from a smaller school gives me more fuel. Richard: Yeah, it shouldn’t be a negative at all. I don’t understand it but it is what it is. There’s talent up and down college football and just because someone’s from a Power 5 school doesn’t make them that good and just because someone’s from a Group of 5 school doesn’t make them bad. Brandon: I can’t let you go without asking a Toledo-specific question. We know that the UT offense just lost one of the best WR trios in college football and starting offensive linemen in Sami Kassem and Yazeed Atariwa. The defense lost Tuzar, Reggie Howard, Tyler Taafe, Josh Teachey, Ka’dar Hollman, and yourself of course. 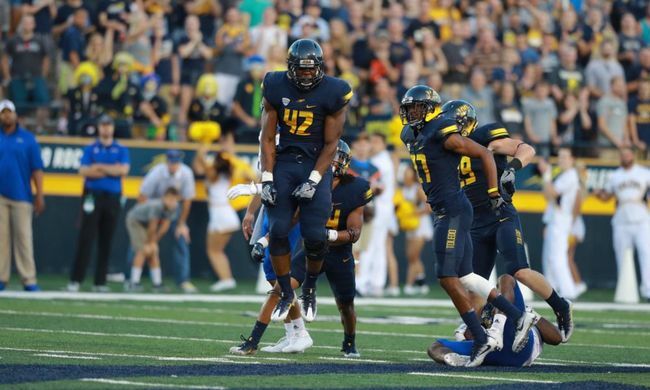 Even special teams is losing Jameson Vest, what do you think the future is looking like at Toledo? Richard: I’m not sure to be honest, we had an up-and-down season last year with talented guys and still under performed. Not having a lot of seniors was a big part of that, in my opinion. Guys are going to have to step up. Hopefully we taught some of the Juniors Sophs and Freshmen what it takes to win a conference title like we did two years ago and they build from there. Brandon: I appreciate you giving me the time. Good luck with this whole process. Richard: Thanks man. I appreciate it.